In November 1989, I was diagnosed with Stage II breast cancer. I was only 40 years old. As a side effect of the chemotherapy treatments given to battle my cancer, I experienced total hair loss. Coping was a challenge. As a professional hairstylist, I thought I would be able to use my professional resources to find some attractive head coverings, but at the time, none seemed to be available. I made it through my hair loss with one itchy wig, and one basic surgical cap to cover my head at night. It was a demoralizing experience. I vowed that if I survived, I would change this situation for other cancer patients. When my cancer went into remission, my daughter and I began our mission to locate those products that I had needed so much during my treatments. We were looking for products that were comfortable, flattering, practical, and affordable. When our search came up empty, we decided that it was time for a solution. Headcovers Unlimited was born. Through my personal experience with clients, and my own experience with hair loss and cancer, I have been able to "weed out" those items which haven't proven practical. All items completely cover the head and are created specifically for women experiencing hair loss. As a professional hair stylist, I know what items best compliment and flatter a face, and have personally designed or selected the items offered here. Although Headcovers began as a service to cancer patients, we soon realized that there were others that were not being served. Our customers began to include those with alopecia, trichotillomania, lupus, burns and hair loss due to a number of medical conditions and treatments. We have and continue to expand our product line based on the needs and requests of our customers. Our original product line included wigs, hats and turbans. Some additions include eyelashes, eyebrows, scarves and cosmetics. I am honored to have served as a volunteer for the American Cancer Society's "Look Good, Feel Better" program. Volunteers in this program offer cancer patients free, personalized help in meeting their unique appearance needs. I found this seminar a wonderful morale booster and would recommend it to fellow cancer survivors. Check your local oncology department or cancer treatment center for opportunities to attend this seminar in your local community. Please shop with confidence, knowing that our products have been developed with your specific needs in mind. We would love to hear from you. The letter above was written 18 years ago. My mother's story has inspired many to persevere in their battle against cancer and continues to do so today. Over the years, we have witnessed so many miracles and amazing triumphs over this disease. What we initially set out to do was to inspire and help others, but in the process, we ourselves have been blessed so much more. It has been an inspiration to meet so many cancer patients who have defied the odds or simply had a beautiful story to tell. For 20 years, my mother successfully battled breast cancer, in the face of negative test results, statistics and doctors' prognoses. During this time, her cancer went into remission for almost 15 years. She was able to witness the birth of three grandchildren, travel around the world, see her youngest child enter medical school, and inspire many. Sixteen years after my mother's initial diagnosis, her cancer returned. This time, it was Stage IV, and the cancer had spread throughout her body. Again, she fought the disease with grace, strength and tenacity. Given a short prognosis, she lived another four years, defying the most incredible of odds. She is a testament to what God's grace, modern medicine and the will to live can accomplish. 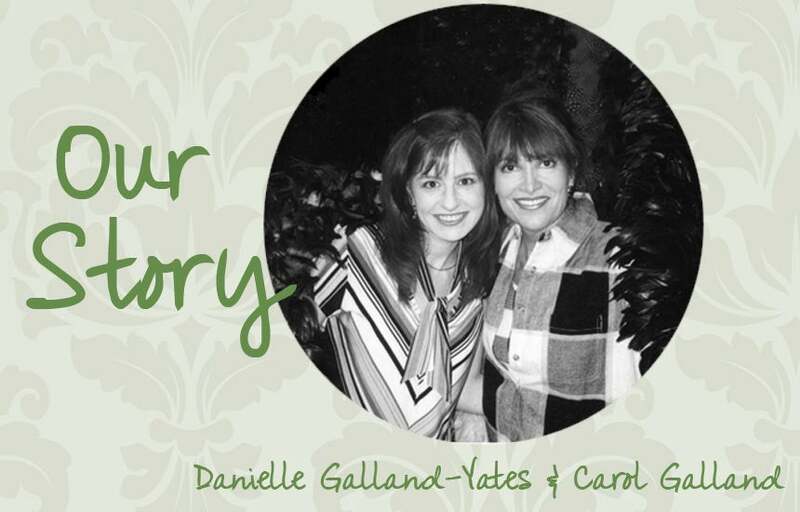 After fulfilling all of the dreams and goals she had set for herself after her initial diagnosis, she ultimately left this world victoriously. As we move forward, we continue to emulate the same spirit and heart for serving others that my mother exemplified. At the forefront of every decision we make is our mission: To provide comfort to cancer patients and individuals experiencing hair loss. For the last 20 years, my mother and I have fulfilled this mission by working side by side with our customers. We covet your suggestions, ideas and comments. Through years of experience with cancer patients, I have witnessed that the greatest challenges of our lives bring unexpected gifts, lessons and blessings. Know that my staff and I hold you close in prayer. My personal wish for you is that God’s miracles will manifest in your life in the most meaningful way, bringing you comfort, hope and joy.